The original Surface Laptop is nearly two years old these days, but when it first came out, stuck with Windows 10 S Mode, it didn’t make that much sense compared to the rest of the Surface lineup. Still, when the Surface Laptop 2 finally released last year, it refined the formula enough to become one of the best laptops on the market. So, that leaves us thinking: what will the Surface Laptop 3 look like? 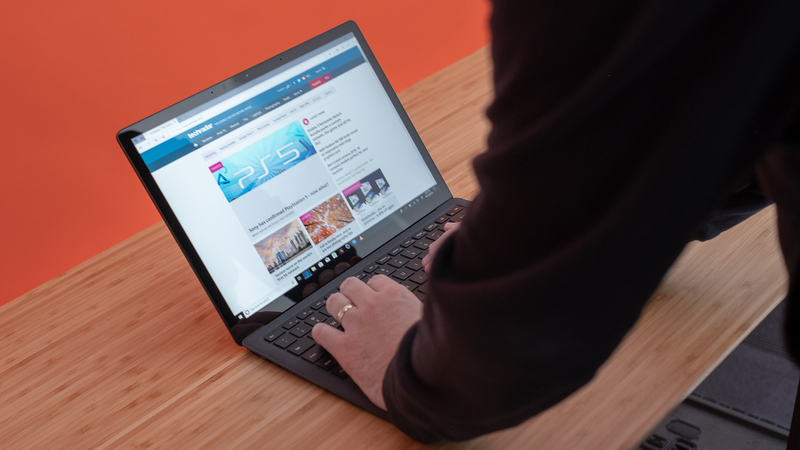 Beyond obvious upgrades to the internals, like Intel Whiskey Lake or Ice Lake processors, a higher resolution and Thunderbolt 3 are the highest on our wishlist – but Microsoft would likely have to be willing to abandon its proprietary Surface connector. Now, we obviously don’t have any solid information about the Surface Laptop 3 – even rumors are thin on the ground – but that doesn’t mean we can’t craft a wish list of what we want to see in the third Surface Laptop. So, be sure to keep this page bookmarked, and we’ll update it with any Surface Laptop 3 news or rumors that we find. 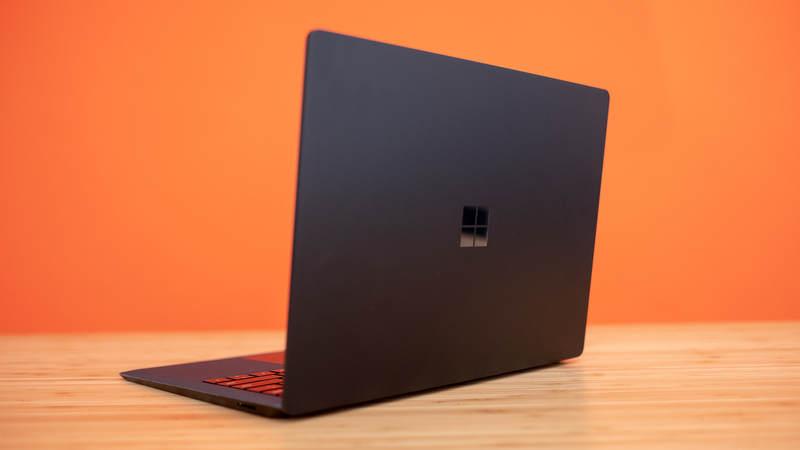 Unlike something like the Surface Pro 7, there have only been two Surface Laptop releases, and it’s a product line that’s been around for less than two years. So, we have less info to work from when guessing at a release window. The original Surface Laptop came out in June 2017, alongside the Surface Pro. However, the Surface Laptop 2 saw an October 2018 release. So, we might end up seeing the Surface Laptop 3 sometime in 2019, but it’s hard to predict exactly when we’ll see it. We could see it launch during or before September, as it’s popular for students. However, if Microsoft does launch it then, it’d have to use Intel Whiskey Lake processors instead of the next-gen Ice Lake chips, and that may not be a substantial enough upgrade from the Kaby Lake Refresh chips in the Surface Laptop 2. So, we could see Microsoft waiting until 2020 to launch the Surface Laptop 3 – depending on when Intel launches its new processors, of course. This is all speculation, of course, so you should take it with salt. We’ll update this section as soon as we hear anything about the Surface Laptop 2 release date. The original Surface Laptop launched a $799 (around £560, AU$1,000), with an Intel Core m3 processor and Windows 10 S out of the box. But, the Surface Laptop 2 significantly raised the price of entry, charging users $999 (£979, AU$1,499). This higher price point did come with full-fat Ultrabook processors in every configuration, plus the full Windows 10 Home. We think Microsoft will continue to charge the same $999 (£979, AU$1,499) for the Surface Book 3, to keep it competitive with similar Ultrabooks, like the Dell XPS 13. The Surface Laptop 2 already improved so much on the Surface Laptop, that it’s hard to think of what else Microsoft could do to make it even better. Still, we’ve come up with a few things we’d like to see in the Surface Laptop 3, using our tech expertise as a guiding hand. 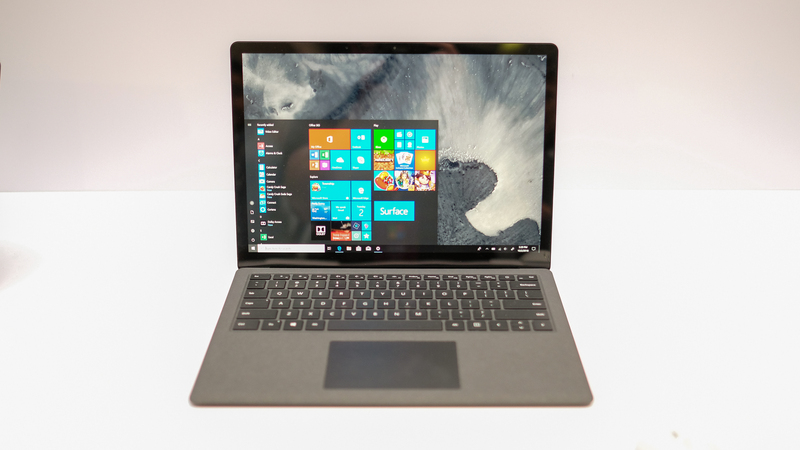 The Surface Laptop 2 already vastly improved upon the CPUs on offer, moving from dual-core Kaby Lake chips to quad-core 8th-generation Kaby Lake Refresh processors. But, more speed is never a bad thing, and we’d love to see more power behind the Surface Laptop 3. There are technically faster Ultrabook-class processors out already, with Intel’s Whiskey Lake, but they provide such a small upgrade in performance, that it really isn’t worth upgrading. However, at CES 2019, Intel announced its 10nm Ice Lake processors, promising to increase performance two fold in certain workloads. While Intel’s performance claims should be taken with a grain of salt, the gains to performance and battery life that a 10nm process would afford are still exciting. Now that Thunderbolt 3 is becoming more ubiquitous by the minute, Microsoft absolutely needs to include the technology in its next line of laptops. Now that there are so many monitors, external hard drives and other peripherals are using Thunderbolt 3, Microsoft needs to bring its port selection to the modern age – that Surface connection isn’t going to cut it for much longer. Fortunately, Microsoft has patented a new magnetic USB-C charger, that would have the best of both worlds. We just hope the technology is ready before the Surface Laptop 3 hits the streets. The Surface Laptop 2 didn’t really change up the look and feel beyond adding a new black color option. And, while that isn’t really a complaint, we’d still like to see Microsoft offer a slimmer design. And, it’s not like Microsoft isn’t pursuing thinner designs. Microsoft has patented a thinner Type Cover, with a touchpad built right into the printed circuit board. 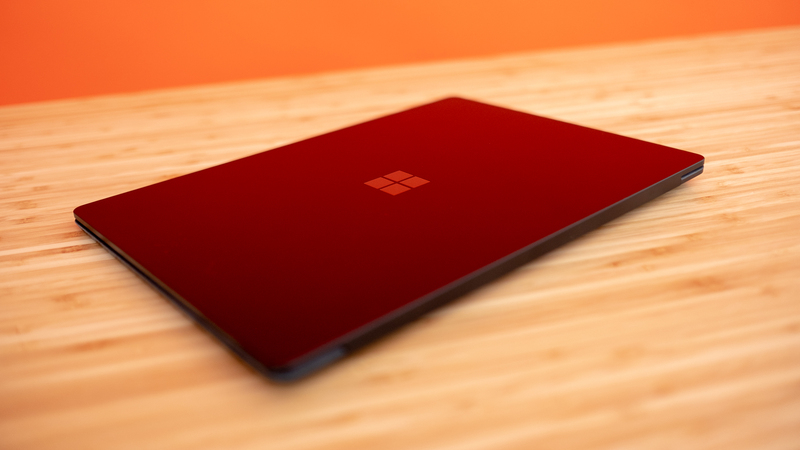 This could lead to the Surface Pro 7 to have a smaller footprint overall, but we’d be interested to see if this design philosophy would carry over to other Surface devices. Thinner laptops are always in demand, so a thinner and lighter Surface Laptop 3 is definitely possible. However, we have seen a recent patent from Microsoft that could make the fur-coated design of the Surface Laptop 3 make a little more sense. The patent describes a touch-sensitive fabric, that could give the Surface Laptop 3 more touch controls on the chassis of the device. Maybe for volume or brightness – like a fuzzy Touch Bar.